All students entering or going through their 10th and 12th boards are brought to attention. In order to stay update and stress free, here you are can catch Assam Board Routine compiled at one place. 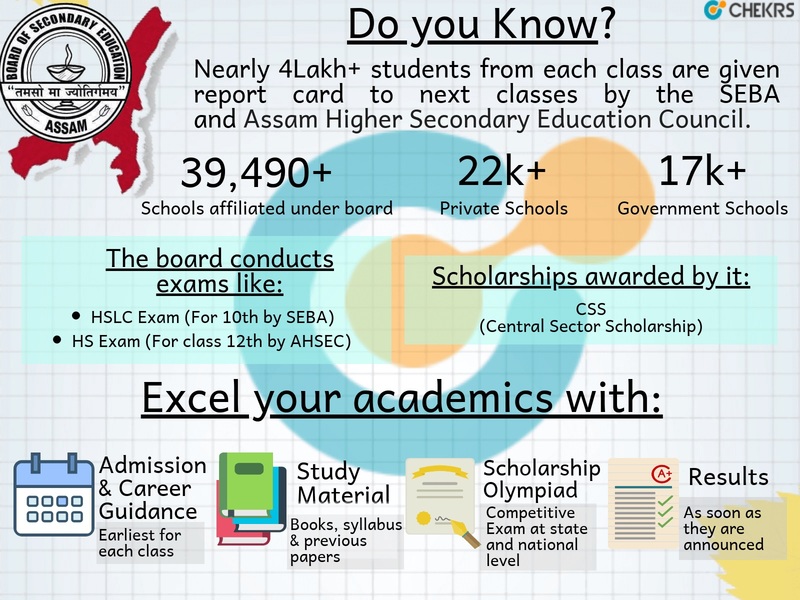 Know Your Board: Assam school education is controlled under by Assam Higher Secondary Education Council and Board of Secondary Education responsible for managing up to 10th and 12th Classes. To supervise the Assam Higher Secondary Education Council in 1984 for +2 stage. For each and every student the only pressure is to stay updated within his academic calendar. Whether you want to learn dates of exam or results, here you can find accurate and officially announced details here. Following the page here gives you access to every interlinked presented in easily navigating form. For every student searching notices on Assam Board Exam Routine can regularly visit here for official announcements. Moreover, in the mean time of studies, students can outbound themselves in the mean time of studies by referring to Assam Board Books for your classes. You can also enhance your complete preparation with the SEBA HSLC Previous Years Question Papers. During the course of schooling, besides exams, class tests and its results there are many important events missed in the light of competition. To all students, we would bring it to their awareness that participating in competitive exams like Olympiads and Scholarships is one of the best ways to improve academics while adding certificates for admissions in colleges. Students interested for Assam State Olympiad can access information assembled through Assam Scholarship Portal for detailed perspective. Why Chekrs for Assam Board Class 1st To 12th? The ultimate stand for every student is his/her option to choose best career path. Besides studies, other major factor affecting the decision of your career guidance, which every student can get. Whether it is Arts, Science or Commerce you can to choose from after 10th or it is jobs after 12th we deliver you right information so that your end result is best. ahsec.nic.in, Check Assam Board Time Table/ Date Sheet 2019 in the month of Dec/ Jan of each academic year. Get Assam Board 10th/ 12th Exam Dates 2019 Online here. Assam Board Syllabus, Books and other Study Material.